Australian Armed Forces have operated MBDA developed Guided Missile systems for almost 60 years, Australia’s soldiers and airmen have been protected by Ground Based Air Defence (jointly developed Bloodhound and Rapier systems) and Airborne (ASRAAM and R530 air to air missiles) and has been able to take the fight to the enemy with the Anti-Tank Guided Missile, Milan. Today MBDA’s ASRAAM is providing the F/A-18 fleet unparalleled air combat capability whether over Australia or in the international coalition against ISIS. 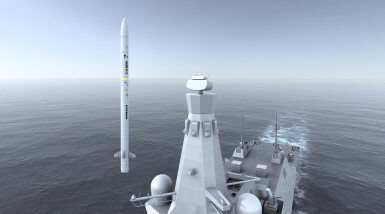 Through MBDA’s unique relationship with the Commonwealth, we have jointly enhanced the ASRAAM missile to ensure it continues to meet Australia’s needs. MBDA’s mission is to provide Australia with decisive military capabilities and deliver Operation Sovereignty enabling strategic independence; MBDA is investing in Australia to ensure both positive economic and technological advantage for the Commonwealth. Whether you’re looking for answers, would like to know more about our products , or just want to contact our team , you’ll find many ways to contact us right here.